Congratulations to Caroline Aubry-Wake who won a Cryosphere Student Innovation Award from the American Geophysical Union at its Fall Meeting in Washington DC last week. 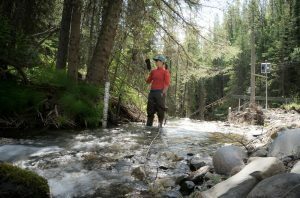 The $1000 USD prize was for her proposal of an innovative method to determine debris cover thickness on glaciers. Great work Caroline! 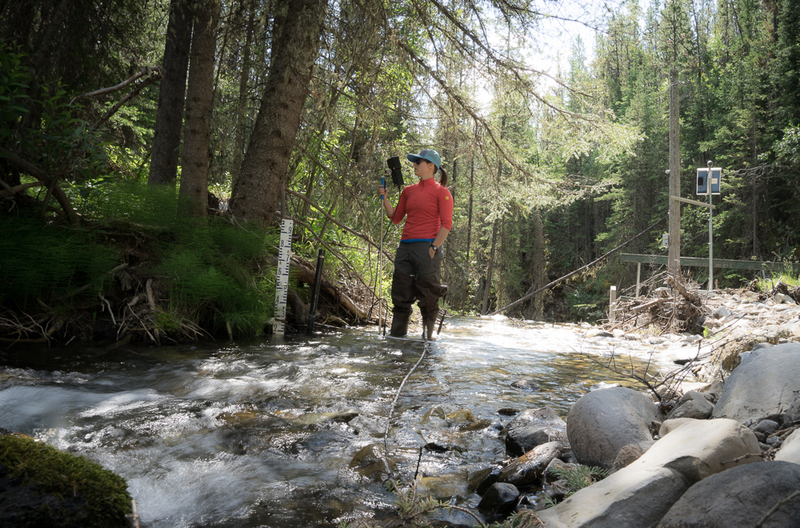 Caroline Aubry-Wake, the winner of the Cryosphere Student Innovation Award, conducting fieldwork. 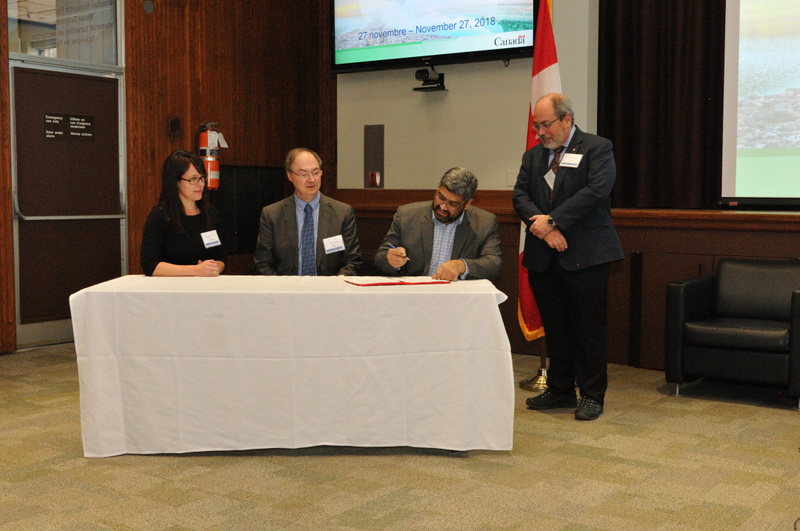 At a ceremony last month, the University of Saskatchewan and Natural Resources Canada signed a 5-year Memorandum of Understanding (MOU) to strengthen the country’s commitment to manage its freshwater resources. U of S Professor John Pomeroy is the Canada 150 Research Chair in Water Resources and Climate Change, Director of the Centre for Hydrology at the U of S, and the Director of the USask-led Global Water Futures Program, which is the world’s largest university-led freshwater research program.